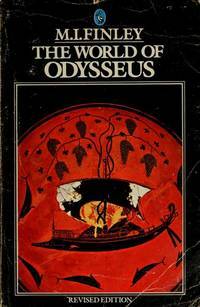 Home > Black Cat Hill Books > The World of Odysseus. New York, NY Penguin Books: Pelican , 1979. Paperback Second Edition, Revised & Enlarged (1979); Third Printing Thus (1982). Very Near Fine in Wraps: shows only the most minute indications of use: just a hint of wear to extremities; mildest rubbing to the panels; the pages have tanned somewhat, due to aging; there is a faint crease near the top of the front hinge; the price has been blocked out from the lower rear panel. The binding is square and secure; the text is clean. Free of any ownership names, dates, addresses, notations, inscriptions, stamps, plates, or labels. A handsome, nearly-new copy, structurally sound and tightly bound, showing the mildest wear and several minor, unobtrusive flaws. Very close to 'As New'. NOT a Remainder, Book-Club, or Ex-Library. 8vo. (7.8 x 5.15 x 0.4 inches). 192 pages. Language: English. Weight: 5.3 ounces. 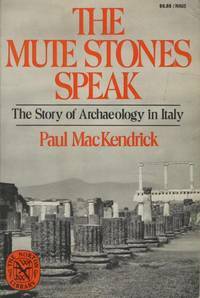 Second Edition, Revised & Enlarged (1979); Third Printing Thus (1982). Trade Paperback. Title: The World of Odysseus.